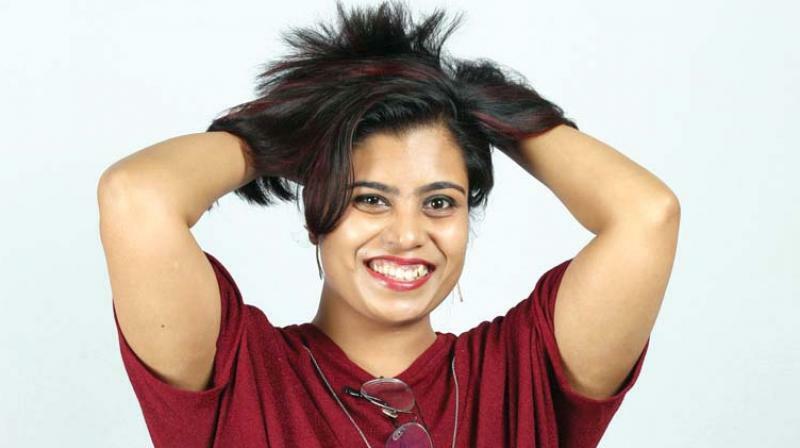 Shrirupa Sengupta, a female stand-up comic who performed at Jagriti recently was subjected to a set of droll questions. 1. If not for stand-up comedy, what would you be doing? Working at the Alpaca registry office, registering Alpacas. I adore Alpacas. 2. Old school dating or tinder? What’s your style of dating? Old school. I’d rather freak out people gradually than start with a photograph. There is one thing I want to achieve — Before I turn 40, I want to act in two films — a Bengali film where I play the vamp. The part must involve rat poison, a mosquito net and a red saree! And a Kannada film where I am the cop’s wife who plays five pranks on him and then dies — all within the first 10 minutes of the film after which he changes the system and the world, falls in love, has a daughter and names her after me. 4. If you had superpowers for about half-an-hour, what would you do and why? The power to change hearts, bring love and remove fear and hatred; because fear is a bad driver. All in half-an-hour. (I am an optimist and have a terrible sense of time). I like Scalene triangles and play the word association game in my head all the time. Also, I love talking to people about the weather. You will be early to every meeting that will begin late, and late to every meeting that begin early. Rude people. Cut apples kept out too long. People who leave a mess behind in the bathroom. 8. An instance of a date gone horribly wrong? Decided wearing a tailored satin churidar kurta would be a great idea. The drawstring came out in the loo and I had no way of putting it back. Date spent rest of the evening holding up my pants. 9. A compliment which you never understood? 10. What’s on the loop on your playlist now? Good as gone by Aditi Dhand.